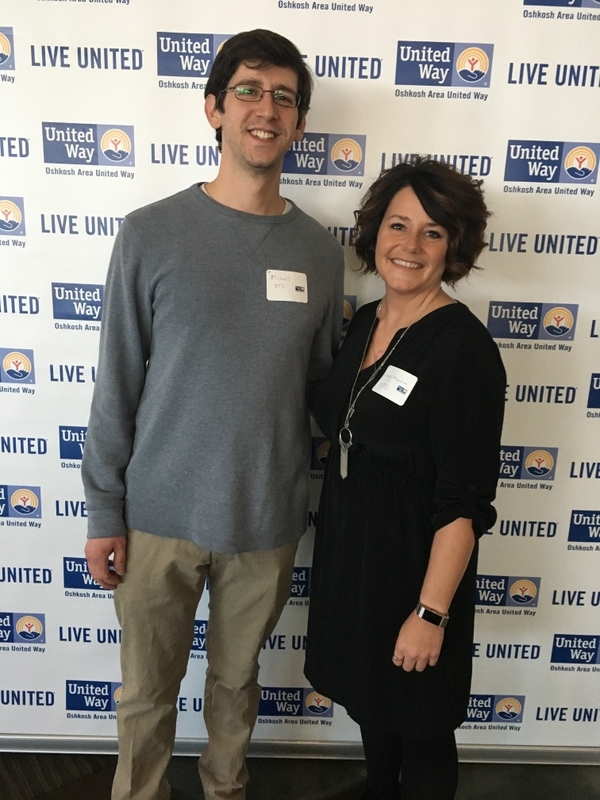 The Oshkosh Area United Way serves Oshkosh by providing all sorts of great services available to anyone in the community. These range from providing basic needs to those who can’t make ends meet at the moment and need help to bounce back, health and wellness services from dental care to mental health, and much more. 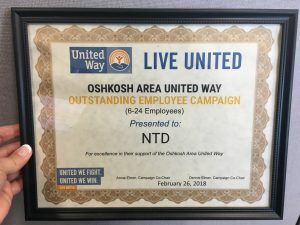 NTD and its employees are proud to donate to such a meaningful organization that creates such an impact in our community. 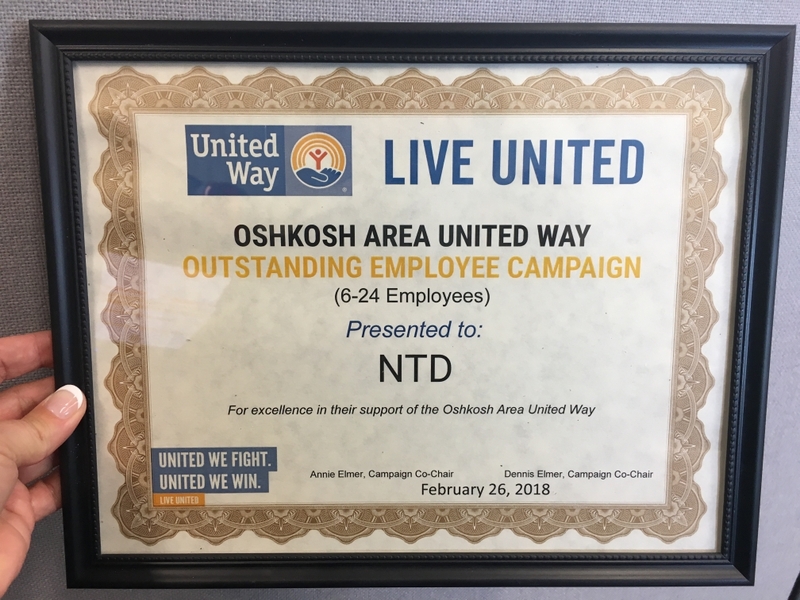 On February 26th of this year, we were honored to be awarded a certificate for our Outstanding Employee Campaign, recognizing the voluntary contributions made by our individual employees. To find out more about the Oshkosh Area United Way visit to oshkoshunitedway.org.